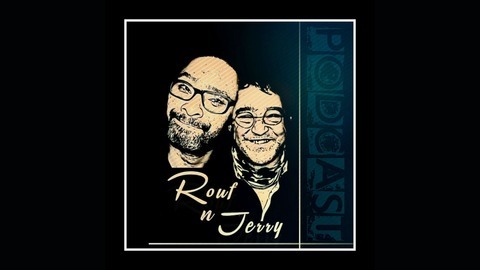 The Rouf n Jerry show is a brand new podcast by 2 UK based radio DJs who both share a wicked sense of humour: Manrouf Chanfi who is part Madagascan, and Brit, Jerry Short, who also plays in Afro funk band, Matuki. They clearly have a love and expert knowledge of World Music, and combine it with unusual and often very funny news stories from around the world. Oh yes, each episode tries to answer one Big Choice Question. Actually, not merely big, one huge question. Episode 10 - The One Where We Ask What's your go to kitchen song for playing when cooking or just chilling by the fridge? Episode 10 is the one where we ask • What's your go to kitchen song for playing when cooking or just chilling by the fridge - And this episode is all about food. We present the maddest facts we could find about the food you eat. Plus we have a special guest, Simon Cristopher who's CEO of Scubazoo, the world's top underwater filming company, plus we have a competition to make the world's tastiest snacks. 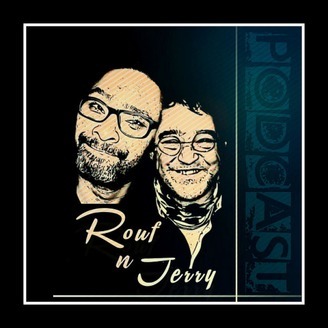 • Musical Spotlight - in this episode Jerry looks at the career of Sam Cooke, commonly known as the King of Soul for his distinctive vocals and importance within popular music. • Window on the World:inspired by Game of Thrones, we look at the top ten Grossest ways they used to kill ancient rulers and some of these are totally stomach turning. Episode 9 - The One Where We Ask What's your go to song for Life's big moments?